Large enterprises across Western Europe and the US are revising their virtualisation hypervisor purchasing plans, according to Veeam's latest V-index survey, with alternative platforms to VMware beginning to challenge on factors such as cost and licensing. The latest edition of the virtualisation software firm's quarterly report, which looks into the penetration rate of virtualisation in enterprise server estates, included factors influencing changes in hypervisor purchasing, as well as providiing stats on virtual desktops for the first time. In the UK, it emerged, 14% of enterprises are looking to change their primary server hypervisor, rising to 25% on the desktop side. 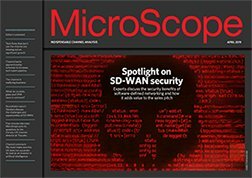 Nearly 65% of UK firms said that growing maturity of alternative server hypervisors was driving this change, while 57% cited concerns around licensing and 50%, costs, a trend that could benefit firms such as Microsoft, which went on the attack last month claiming that its Hyper-V technology was significantly cheaper than market leader VMware's. Cost and licensing models were also cited as influencing factors by firms looking to swap out their desktop virtualisation hypervisors. Naturally, Veeam's survey found the UK market for server virtualisation was still largely dominated by VMware, which held 79% of the UK market, with Microsoft holding 12% and Citrix 8%. In the UK desktop virtualisation sector this situation was reversed, with Citrix holding 46.4% of the market compared to VMware's 42.9%. Third placed Microsoft held 10.7% of the market.